Want to make a positive difference to the lives of your clients and community while working in a values driven organisation? Join Mercy Health’s Home Care Services team of caring and professional Community Care Workers. Support clients living in their own homes through the provision of Domestic Assistance, Personal Care and Respite Care. Service Locations – Melbourne’s North Western suburbs including City of Hume, City of Darebin, City of Banyule, City of Yarra and City of Moonee Valley. We will work with you to determine locations suitable to your lifestyle. A demonstrated ability to be client focused, empathetic, flexible and build meaningful partnerships. To be the successful candidate you must meet the position requirements as well as provide a current Police Record Check and Working with Vulnerable People Check. We deliver home care services in Victoria, New South Wales, Queensland and the Australian Capital Territory. Our ‘Care First’ Model of Care, based on the principles of Collaboration, Approach, Respect and Equality enables us to respond to the current and emerging needs of communities, families and individuals enabling our clients to live safely and independently at home. 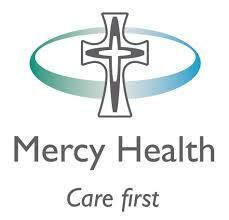 - Join Mercy Health’s Home Care Services team of caring and professional Community Care Workers. - Support clients living in their own homes through the provision of Domestic Assistance, Personal Care and Respite Care. - Service Locations – Melbourne’s North Western suburbs including City of Hume, City of Darebin, City of Banyule, City of Yarra and City of Moonee Valley. We will work with you to determine locations suitable to your lifestyle. - A demonstrated ability to be client focused, empathetic, flexible and build meaningful partnerships.